The Motz Group, leading provider of comprehensive performance-based synthetic and high-performance natural field systems, is now employee owned after launching an employee stock ownership plan (ESOP). 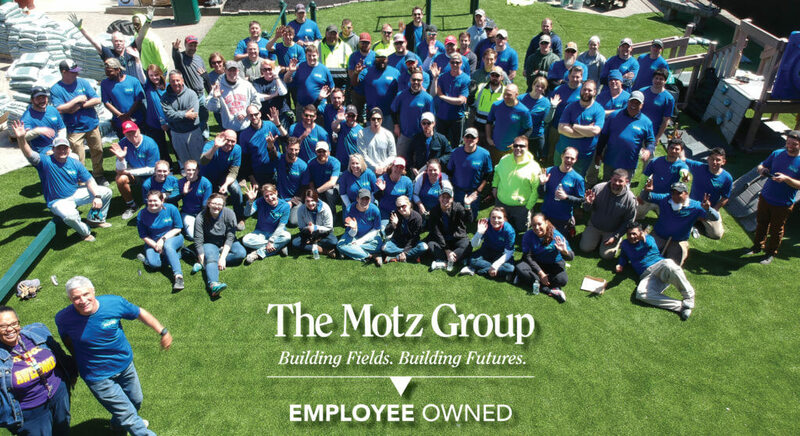 Founded in 1977 and serving the high-performance natural and synthetic turf markets, The Motz Group is one of the most recognized and highly respected turf system specialists in the world. Celebrating more than 40 years in the industry, the Company proudly stands behind their products and services to ensure long-lasting, prosperous relationships with their valued customer base. Now operating as an ESOP, The Motz Group is able to offer employees the opportunity to share beneficial ownership in the Company. “This transition to an ESOP will further drive employee engagement, ensure customer satisfaction, and help attract new talent,” explains Joe Motz, founder of The Motz Group. Motz breeds an award-winning company culture ultimately fueled by its dedicated employees. This shift provides those employees the opportunity to more directly benefit from their efforts.